Supercars are capable of many amazing things, but those generally require pavement. Anything other than glassy smooth tarmac is liable to end in disaster for low, stiff speed machines. And yet, this Dutch duo defied the odds, taking a McLaren 720S where probably no 720S has gone before. Or really, should go. As seen above, this McLaren 720S somehow ended up on a somewhat rutted, undulating dirt road, and one of those ruts halted its progress altogether. As such, the passenger hopped out, and revealed that he should be a professional off-road spotter. He seems to be giving directions on where to maneuver the sports car so that the dangerously low front spoiler doesn't get wedged in the dirt and snapped off. It's amazing to see it come through without so much as a light scrape across the dirt. The thing is, as impressive as this feat is, we're left with so many questions. Where were these guys going that required driving on a dirt road like this? And if they knew they were going to be on a dirt road like this, why drive a McLaren 720S? 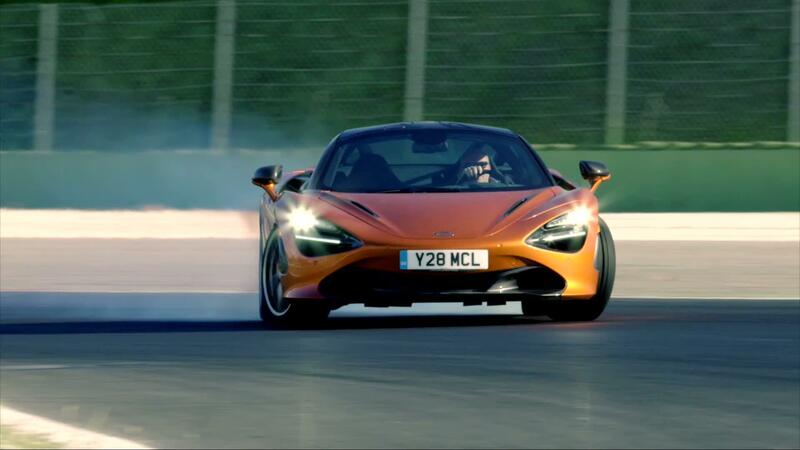 Surely a person with the means to own a 720S owns other vehicles with greater ground clearance. Also, was this the only obstacle they had to overcome? Did they make it to their destination with an unscathed car? Is this actually the Netherlands' answer to the Rubicon trail? We may never know the fate of the marvelous mystery McLaren crew, but we hope the best for them.